Marie Harrison is a native of Clemmons, NC. 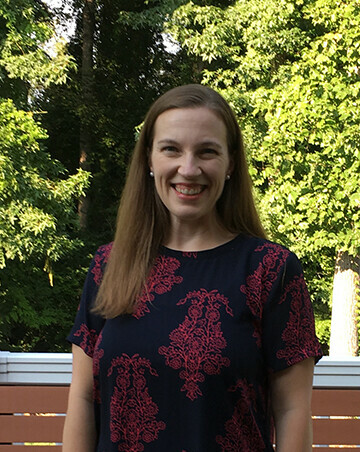 She attended UNC – Chapel Hill and graduated with a BS in Biology in 2001 and then was awarded the Master Teaching Fellow scholarship from Wake Forest University where she earned her Masters in Science Education in 2002. Before coming to work at River Oaks, Marie taught high school Chemistry at East Forsyth High School. Marie and her husband Martin have been married since 2001 and have three kids; Jack, Emma, and Olivia Grace. In her spare time, Marie leads an American Heritage Girls troop, volunteers at her children’s school, and loves to hit as many spin classes at the gym as she can! As the Kid’s ROCC Director, Marie gets to combine her love of teaching with her passion for sharing Jesus to the next generation. Marie oversees Kid’s ROCC and elementary youth at River Oaks.